Smithsonian's National Museum of African American History and Culture celebrates its first year after opening on the National Mall this weekend. With a crack in her voice, Sheila Davis shared her experience at the Smithsonian’s National Museum of African American History and Culture. She had traveled from Harlem, New York, to join the still-lively crowds at the D.C. museum near its one-year anniversary. “Most museums have an initial period of excitement, and then it dies down and it becomes routine. We haven’t reached that point yet,” said John Franklin of the museum’s Office of External Affairs. Since the museum opened on Sept. 24, 2016, Franklin said around 2.5 million people have visited, averaging at 8,000 visitors a day. Although it’s free to enter, timed passes are needed and they’re always grabbed up quickly. Even if you don’t have timed passes for this weekend, there will be plenty to do outside in celebration of the museum’s first year. The two-day event is packed with dance and music performances. For those inside the museum, hours have been extended to 7:30 p.m. until Sunday. And there may be a possibility for visitors to get walk-up passes in the late afternoon. Davis had been planning her visit since February, but only managed to come because someone in her group had gotten sick and she took their place. “It was divine order,” she said. While she had enjoyed her visit, it was intensely personal, she said. “All of the pain and suffering from my people, from my ancestors, gave me a chance to be here and to accomplish what I’ve accomplished. I have stepped on their shoulders. I was able to stand on their shoulders,” she said. It’s nearly impossible to get through the newest Smithsonian in a few hours, let alone a day. The museum has collected more than 36,000 artifacts, many of which can also be viewed online. But nothing compares to the in-person experience. For Doris Smiley, a visitor from Michigan, an exhibit that centers Emmett Till’s casket was especially emotional. Till was brutally lynched when he was just 14 years old in 1955 Mississippi. His death was a galvanizing point in the growing civil rights movement. “I was a little girl when that happened, so I remember that,” she said. Exhibits surrounding moments in ’60s also touched her. 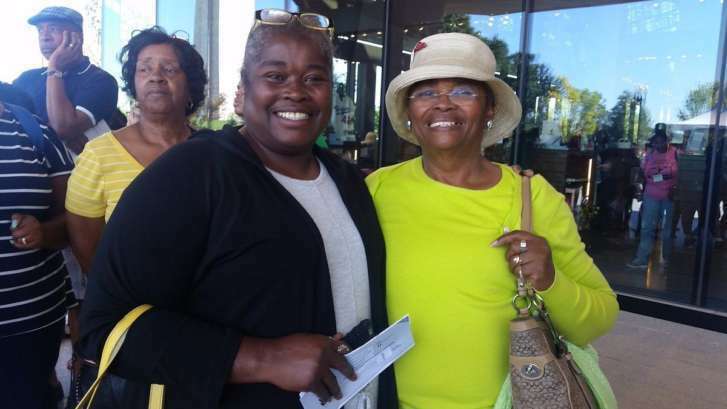 “We were coming of age at that time and we lived that,” said Smiley, who had gotten her ticket through a tour group. The museum had “history that needs to be shared,” Smiley said, and although she enjoyed her time going through some exhibits, it was not enough. She said she would definitely return. From historic artifacts to personal stories and cultural items, the museum has become a must-visit D.C. location. 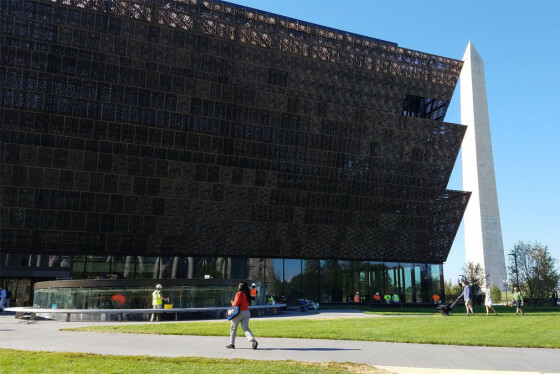 The National Museum of African American History and Culture opened its doors to the public Sept. 24, 2016.